I remember saying “We have a long hard road of recovery ahead.” I do not think I understood how long and how hard that road would be. Someone said it would take at least a decade of rebuilding for our community to recover. I do not know if I believed them, but God has somehow granted the compulsion to keep moving forward; one step at a time. I guess that comes with the whole “walk by faith, not by sight” thing. One step, and then another, and then another, and here we are, less than 6 months before that 10 year mark. From the back seat, are we there yet? Hurricane Katrina hit August 29, 2005. Thousands and thousands of you have walked beside us down this road. I hate to call it a finish line, because another road lies ahead around the bend. 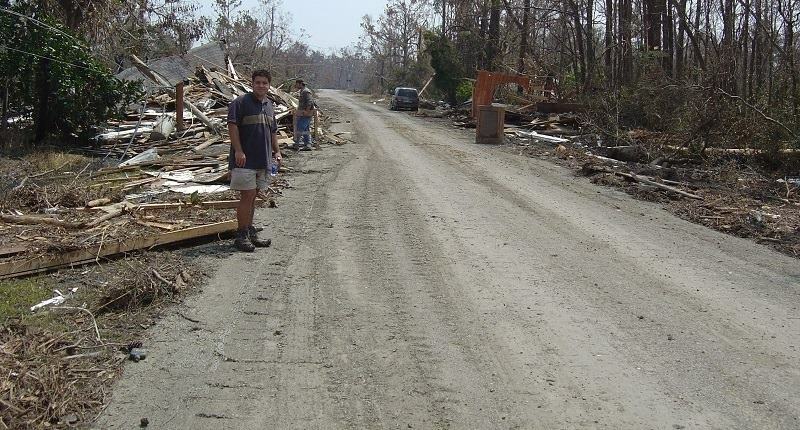 Katrina relief may wrap up, but mercy ministry never ends, until Christ returns. I guess we do need to put a mile marker in somewhere. As August 29,2015 fast approaches, we still have a lot to do. Would you come and help for one final push? This summer we need to wrap up the finishing touches on the new church building. We also need to put in a parking lot. I’d love to finally do some landscaping. All the temporary structures that comprised our relief, recovery, and rebuilding camp needs to be decommissioned and dismantled. The task list is long, but as always, that means no matter what you can do, God has a place where you can make a real difference here. Do you have a mission trip planned for this summer yet? Please consider coming back to Lakeshore, lend a hand in the last leg of the journey, rejoice in the progress that you were a part of, and see how far God has brought this community for His glory.